The youngster has confessed on various occasions that he is a fan of Messi, despite the Argentine battling his father for the best player award, which Cristiano eventually won. 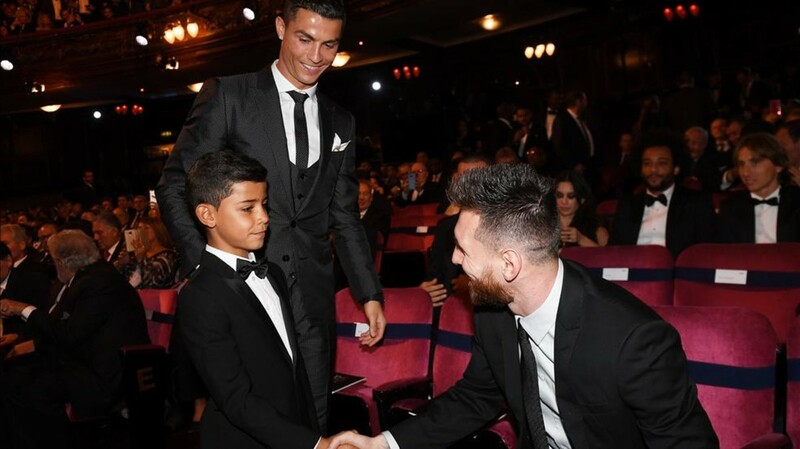 Smiling from ear to ear, Messi took the hand of the seven year old boy before the start of the ceremont at the London Palladium, while Antonela and Ronaldo were reaquainted. They couldn't help but smile at seeing Messi with Cristiano Jr.